In 1821 a line from Moreton-in-Marsh to Stratford-upon-Avon was opened to carry passengers and goods by horse-drawn carriages and trucks. In 1825 the Stockton to Darlington railway was opened and in 1836 the Steam Locomotive Railway from Birmingham to Gloucester was opened. In the early 1840s the Great Western line ran from Oxford to Birmingham, planned and constructed by Isambard Brunel, who, at the age of 27 years, was appointed Chief Engineer to the Great Western Railway Company. In 1844 the Oxford, Worcester and Wolverhampton Railway Company was formed and an Act of Parliament was passed allowing plans to build the railway. 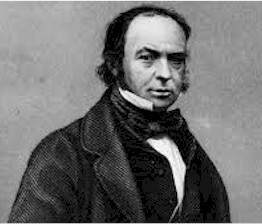 Isambard Brunel was appointed Chief Engineer and Planner. The original plan was to run across the meadows by Berrington Mill and enter Campden close to the Volunteer Inn at the beginning of Watery Lane (now Park Road). The plan also included a branch line from Campden to Stratford-upon-Avon. This plan was defeated by the opposition of the Earl of Gainsborough and so the start of the branch line was changed to Honeybourne, and the line changed to its present course. This meant the construction of a mile long tunnel near Mickleton, which took five years to complete. The contract to construct the tunnel was given to Ackroyds, and they put a man named Robert Marchant in charge. The work started in the summer of 1846, but Brunel was not pleased at the slow progress and Marchant complained of the difficulties caused by water and clay. At various times work was suspended, and in July 1848, the Railway Board ordered Brunel to arrange with the contractors to give up the work and leave the site. Lack of capital and controversy over whether to have broad or narrow gauge also caused delay. Eventually more capital was raised and work began again in 1851, but in July of that year Brunel was ordered to take over the project himself, and further payments to the contractors were refused. On the threat of being turned out, the contractor’s man, Marchant, who was owed more than £30,000 by the Company, barricaded the works and defied the railway company and Brunel himself. The railway company’s agent, a Mr Varden, came over from Banbury with a body of men, determined to take possession. Marchant, hearing of this, persuaded two local magistrates to be present with a number of constables armed with cutlasses. After talks between Brunel and Marchant, with threats of fighting, the magistrates read out the Riot Act. Brunel then retired, putting off any action until the following day. Early next morning the magistrates were on the scene again with the constables. Brunel arrived with some of his men, and Marchant faced him with a larger body of navvies armed with picks and shovels. The magistrates again read the Riot Act and the men dispersed. Brunel pretended to accept the situation, but secretly sent messages to recall his workmen from all along the line. The magistrates, in the meantime, having considered the matter closed, retired from the scene. However, James Ashwin, the magistrate from Bretforton, found out what Brunel had done, and realising there might be serious trouble, set out at once on his horse, arriving at the works at about three o’clock in the morning. On the way he met a body of men who had been travelling all night on Brunel’s order. They were not quite sure where the tunnel was, so Ashwin directed them the wrong way. On arriving at the works, Ashwin found Brunel with his officers and managers waiting for his men to arrive. Ashwin was able to convince Brunel that he must side with him in keeping the law, and it is said that he swore Brunel in as a special constable on the spot. After long discussion, Brunel’s men started to come in from all directions; a total of about 3,000 men. Fighting broke out between Brunel’s men and Marchant’s men. Mr Ashwin, aided by Brunel, eventually managed to restore order. There were no fatalities, though several arms and legs were broken. Brunel and Marchant both agreed to go to arbitration. This resulted in the railway company paying off the contractors and completing the work themselves. Mr Ashwin, who had acted with great courage and patience, was sent a letter of thanks from the Bench at Gloucester for the part he had played in the affair. In March 1852 Brunel resigned after arguing with the Great Western over which gauge to use and other matters. 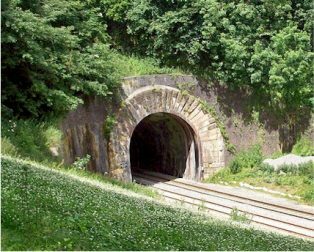 In the spring of that year serious floods damaged the tunnel, but this was overcome, and it was finally completed in the Spring of 1853. The line was first operated by an independent contractor who supplied the locomotives and rolling stock, then by the London and North Western, and finally they sold it to the Great Western, who operated it until the railways were nationalised in 1946. As far as Campden was concerned, the coming of the railway and building of the tunnel caused great upheaval. The population of the town was increased by over 300, mostly navvies. Some lived in lodgings, some in a row of cottages specially built for them at Paul’s Pike, and some in the huts built on the site. Of course, other villages in the district suffered similar troubles, but it wasn’t all gloom and doom. Public houses, shops and bookmakers benefited considerably. Unfortunately Dover’s Games became more rowdy as the attendances grew larger, and the Games were stopped. Campden shopkeepers and the tunnel contractors were always at loggerheads over the prices the shopkeepers were charging. The tunnel workers said they were paying 10 ½d for a four pound loaf of bread, whilst the price in Liverpool and London was only 7 ½d. William Somerton, a Campden grocer, wrote to the contractors denying the allegations, saying the bread was 8d a loaf, bacon 8d to 10d a pound and mutton 7d a pound. When the line became fully operational there were five passenger trains passing through Campden each weekday, and two on Sundays as well as many goods trains. The Noel Arms provided a horse-drawn bus to meet all the passenger trains, a service which they carried on until the end of the 1914-18 War.